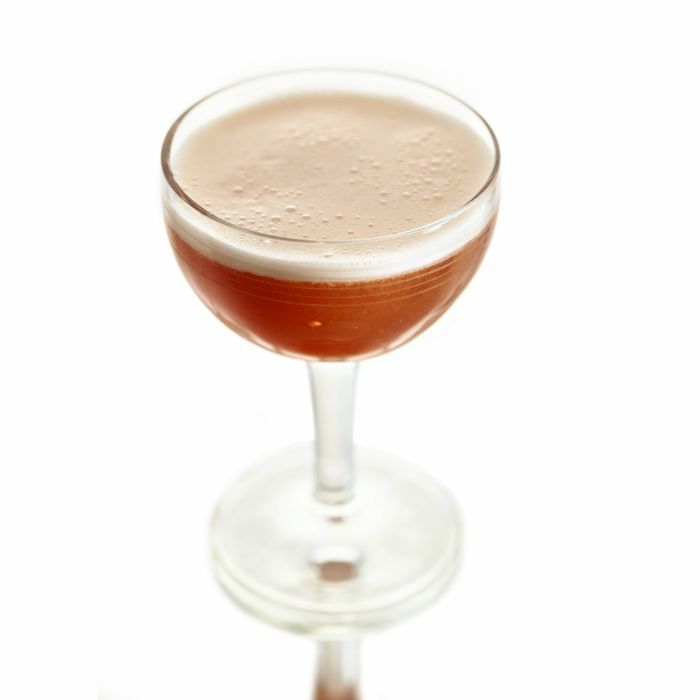 These are bad days to be a teetotaler: Never before has the country been so awash in excellent, exciting cocktails. New York’s pre-prohibition-style drink boom of the early aughts did much to renew interest in stiff drinks that bartenders treated with newfound care and respect. Spots like Milk and Honey and Angel’s Share demonstrated how excellent a truly well-made drink can be. Soon enough, lots more serious cocktail haunts opened: P.D.T. in New York, the Violet Hour in Chicago, Bourbon and Branch in San Francisco — the country was in the midst of a full-on cocktail renaissance. A decade later, newer bars have (mostly) done away with the handlebar mustaches, “house rules,” and waistcoats that defined those earlier spots, and have instead focused on the commitment to making precise, bracing drinks with high-quality spirits and unique mixers. Here’s proof: We tracked down a drink recipe from every state (plus one in D.C.), and while doing so, we found an entire country with a newfound appreciation for a properly made cocktail. You can find local lemon liqueur in Columbus, Ohio; amaro-and-whiskey drinks in Richmond, Virginia; and even beer-based simple syrup in Milwaukee. Yes, it’s hard to limit choices to just one drink in every state, but we went searching for drinks that were representative of their place. If there were such a thing as cocktail terroir, that’s what we wanted: original creations made with local spirits, homemade ingredients and infusions, and, above all, attention to detail. A few important things to note when making the recipes: Juices should be fresh, not bottled, and bar ingredients like cherries and grenadine will be the highest-quality you can find, not corn-syrup-sweetened junk from the supermarket. Where necessary, we’ve specified brands — adhere as closely as you can to those specifications if your goal is to recreate these drinks exactly. You’ll also need to know how to make simple syrup: Combine equal parts water and sugar in a pan, heat until the sugar dissolves, and keep it in the refrigerator until you’re ready to use it. You probably won’t be able to hunt down every single obscure ingredient here, but that’s the point. There’s so much going on in America’s bars right now that trying to keep track of it all is an impossible task. Better to simply make a drink, and toast the fact that it’s an astonishing time for cocktails in America.